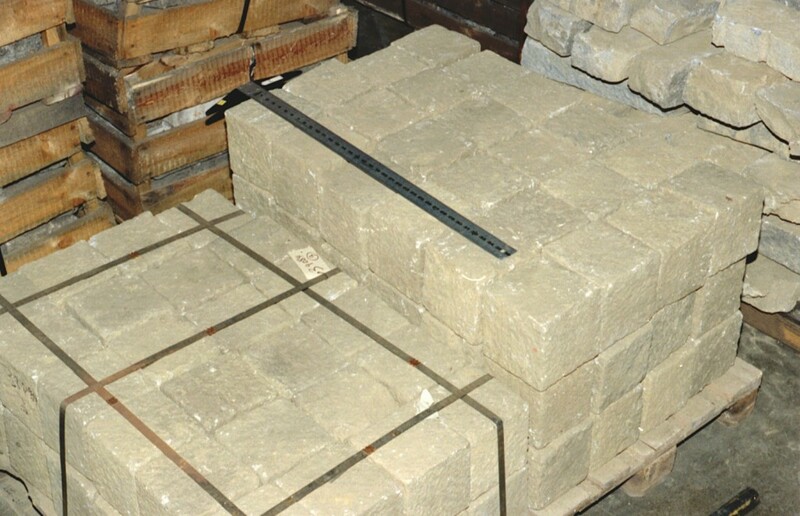 This photograph shows some of the 190 granite blocks donated to the United States Holocaust Memorial Museum by the Mauthausen Public Memorial in Austria. The Nazis established the Mauthausen concentration camp in 1938 near an abandoned stone quarry. Prisoners were forced to carry these granite blocks up more than 180 steps. The small blocks weighed between 30 and 45 pounds each. The larger blocks could each weigh more than 75 pounds. Prisoners assigned to forced labor in the camp quarry were quickly worked to death.